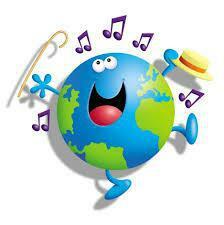 In geography we look at the Earth's landscapes, peoples, places and environments. It is, quite simply, about the world in which we live. At Leatherhead Trinity we try to develop a curiosity about the world and the environment in which we live and to broaden the children's horizons. Every day 'geography' features heavily in the news from the current weather, flooding, traffic congestion, to where conflicts are happening in the world. Just by talking about current events in the news - local and world wide you are helping your child build their understanding of the world. Let your child look up in an atlas or on Google maps where you are going when you go on a trip, let them discover where places are in relation to each other and how long it will take to get there. Even get them to think about the weather! 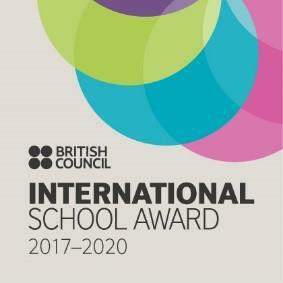 We were very pleased to have our ‘international learning’ recognised by the British Council by being re-accredited for the International School Award. Our journey with international learning began in 2010 and every four years we reapply for the award. The award recognises our commitment to teaching our children about the world around them and helping them to question and understand what they see. We do this through all areas of our curriculum but also through eTwinning projects with other schools in Europe and our link with St Mauritz Primary School in Uganda. 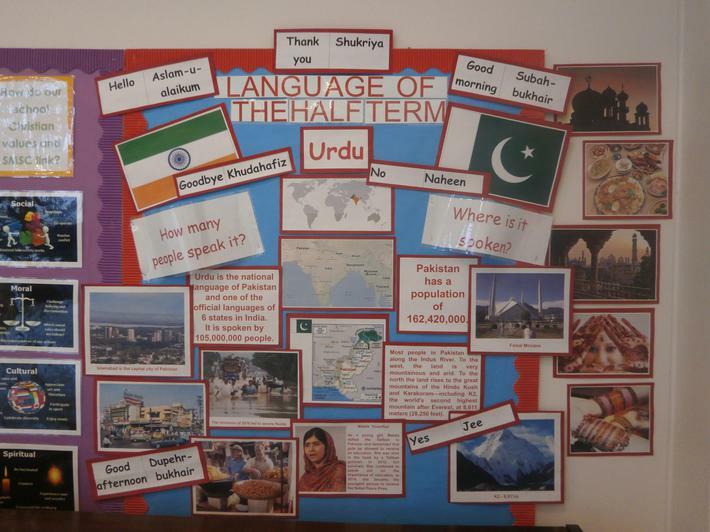 In school, our language of the half term celebrates our diverse school community and our Newsround assemblies keep the children abreast of what is happening in the world. Curriculum events like Fairtrade Day and the Send our Friend to School campaign encourage our pupils to tackle inequality. At this level, we also have to undertake an ambassadorial role for international learning. Our role as an Expert Centre for the Global Learning Programme, working with other schools to share good practice and plan training, has contributed to this. 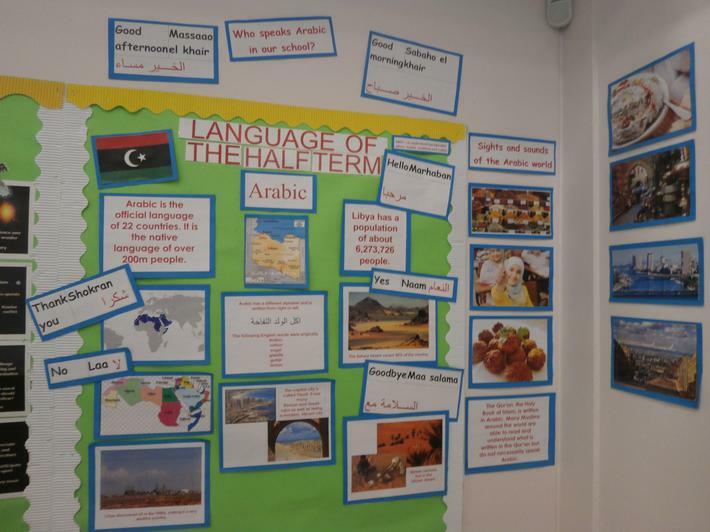 Every half term at Leatherhead Trinity School we celebrate a language spoken by a child or a member of staff. In Collective Worship, the children are introduced to a country where the language is spoken and find out some facts about its physical geography, its customs and traditions, its climate, its produce and some of its famous people. A child who speaks this language teaches the rest of the school some key words which are then used in class during that half term. 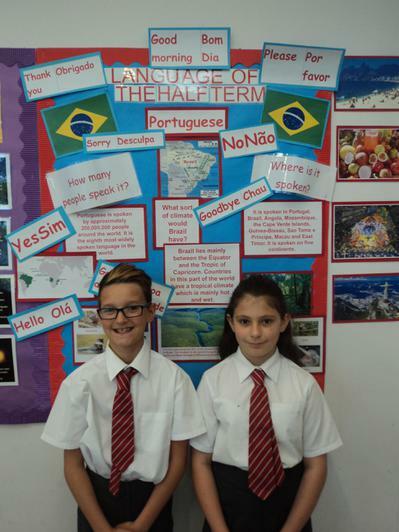 We are lucky to have such diversity in our school and it allows our children to share their language and culture with us and for the rest of us to find out more about the world. Each month Leatherhead Trinity School holds a Newsround Assembly. Reporters from a class in KS1 report on a local story, a lower KS2 class reports on a national story and an upper KS2 class reports on an international story. This is a popular assembly that keeps our children informed about events and places around the world.